It turns out that while VR headsets themselves are pricier than most people anticipated – Oculus just revealed the Rift’s £500 price tag – the PC required for a smooth virtual reality experience actually doesn’t cost that much. Join me as I run through all the components you need to tick off NVIDIA’s recommended specs, which they’re using to accredit ‘VR-ready’ PCs, and build a complete PC for a princely sum of $792.94. All this upgrading cleaned you out? Cast an eye over the best PC games you can play for free. It’s not an insurmountable barrier to cross, is it? For many, it’ll be a case of adding a new graphics card or a bit of extra RAM to an existing system. If you are starting from scratch though, there’s no need to break the bank. I’m not including the price of the headset into my grand total, obviously, and I’m also assuming you already have a mouse, keyboard and monitor. 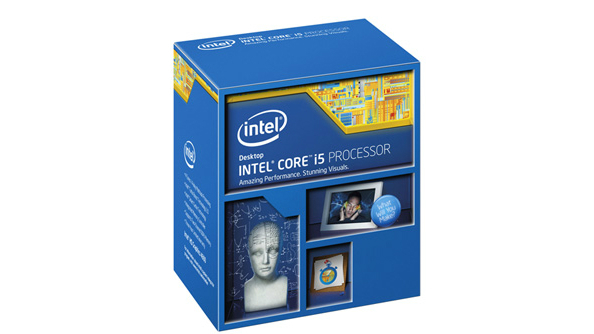 Final proviso: I’m also assuming you’re okay with the stock fan that Intel provides with their CPUs. It’s not going to set an overclocking record, but it’ll do the job. Bottom line: this is about buiding the actual case, and the required componentry within it. All clear? Okay, let’s begin. That’s right, we’re going mATX for this build. Don’t worry, despite its compact design the Carbide Air 240 can house graphics cards up to 300mm long, so there’s plenty of room for the required GTX 970. It’s available for just $79.99 at Newegg, where I’m shopping for all this build’s parts for the sake of convenience and minimal shipping cost. 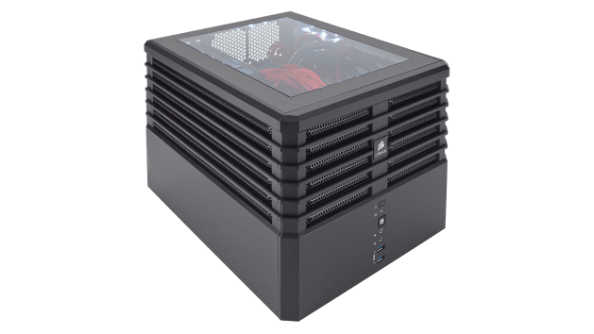 As well as being a stylish beast, this case is also small enough to set up in your front room or move around the house without the assistance of heavy duty construction machinery, unlike some full tower cases. When you want to turn your living area into a Vive space, you’ll be glad you went mATX. 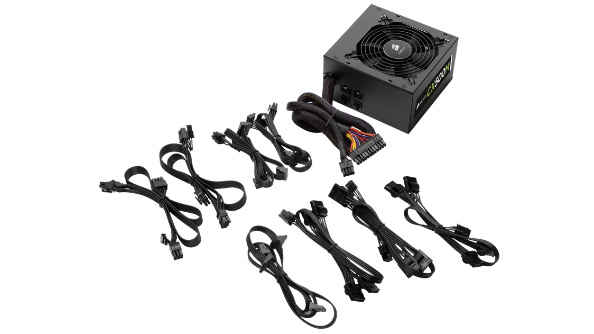 This isn’t the absolute cheapest PSU you could buy, nor is it the lowest wattage to still hit the graphics card’s requirements (spoilers: I’ve picked out a GTX 970 and NVIDIA advise 450W as a bare minimum, but recommend 500W). It’s worth giving yourself a bit of headroom for power though, and spending an extra $10 or so on a renowned brand such as Corsair, who you’ll see cropping up a fair bit in this build, is a good strategy in the long term. 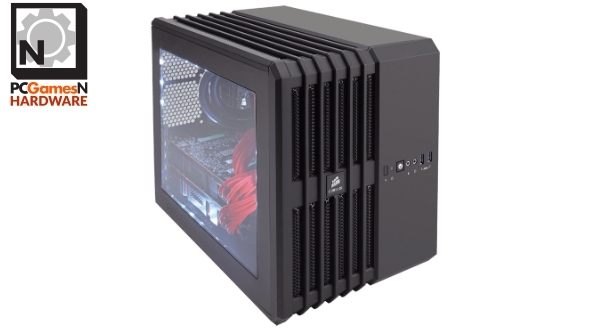 Newegg are selling it for $59.99, and it’s a particularly good fit in our mATX case because it’s semi-modular, which means you don’t have any cables cluttering up the inside of your PC that you’re not using. We’re going to be going with NVIDIA’s recommended CPU, an Intel Core i5 4590. Plus, we’ve opted for a mATX case, so that narrows down our mobo choice a bit: it needs to be small, and LGA 1150 compatible. It also needs a good few USB 3.0 ports into which you’ll later be hooking up your VR headset. 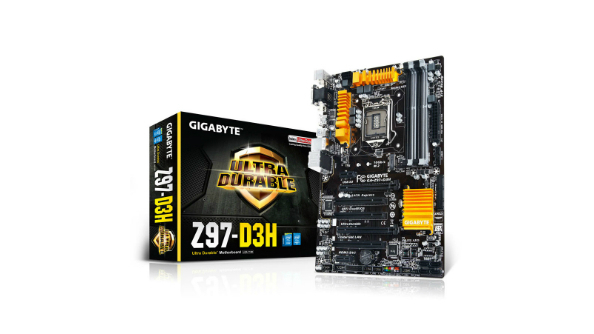 Gigabyte’s utterly unpronouncableGA-Z97M-DS3H ticks every box and keeps the price down below $100, selling for $89.99 on Newegg. The compromises you’re making by not opting for a pricier mobo are in overclocking potential and fancy BIOS extras, neither of which are especially pertinent when building a VR rig. There’s little room for manoeuvre when it comes to the CPU spec. There’s not much point going above the required hardware for the sake of this build, because although Intel’s Haswell chips are old-gen by now they do still hold their price. And frankly $199.99 is a big outlay when you’re building a budget rig. I’m sticking with a stock cooler for this one because it’s not an overclocking chip, and we need to keep costs down. If you have a socket 1150-compatible cooler already, go for it slugger. It isn’t the prettiest, or the fastest, but Corsair’s 1600MHz DDR3 RAM is exactly what we need in this rig. 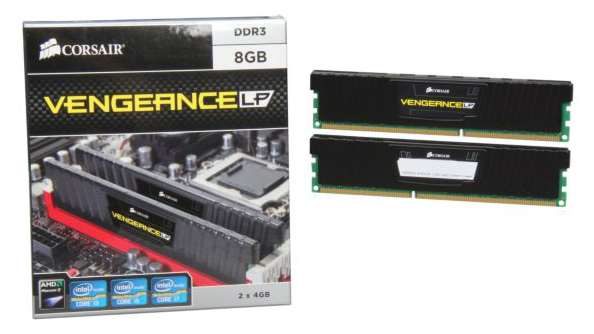 It’s the required 8GB for just $42.99 on Newegg, and it’s low profile too. That’l help when you’re fitting together all your bits in that mATX case, and if you ever do go with a massive aftermarket CPU cooler or SLI setup, you’ll be thankful for the mini-modules. 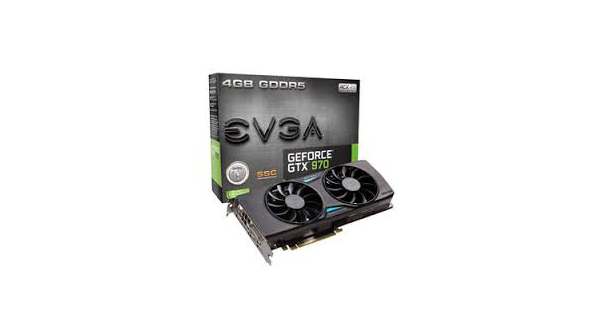 It was always going to be the biggest expenditure on the list, but EVGA’s take on the GTX 970 is aong the cheapest out there. You could easily add an extra $100 to that $319.99 price tag to get more efficient coolers, increased clock speeds, and fancier packaging, but we’re being frugal here. And never has the concept of dimishing returns been more relevant than in shelling out huge amounts of extra cash for different versions of the same card. As with all 970s, this model is NVIDIA GTX VR-Ready – officially and everything – so when you slot this final piece into your machine, virtual reality is your plaything. It bows to your will. Congrats. Any other ideas for frugal VR machine builds? Anyone already taken the plunge and built a machine already? Let us know in the comments below.